I was contacted by Flourish Creative Agency to create a poster for Cleveland University's Engage campaign. These posters focus around CSU’s motto, "Engaged Learning", a hands-on learning environment connecting students, ideas and real-world experience. 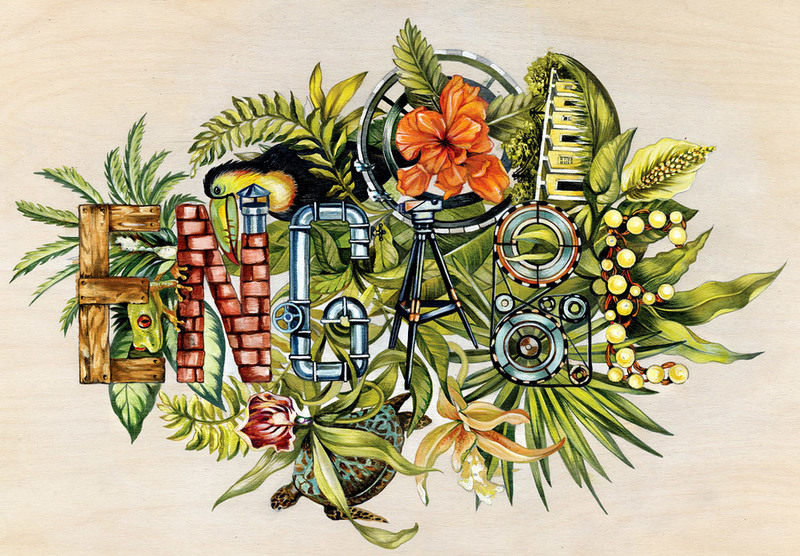 I was commissioned to illustrate an individual student engaged learning story around the actual word, ENGAGE. I was paired with a student who was working with Engineers Without Borders in Belize, so my challenge was to showcase both the environment, and incorporate the theme of engineering. I chose to use the actual letters to express the enginerring element, and surround them with the natural environment of Belize. You know what that means? MORE FLORA!